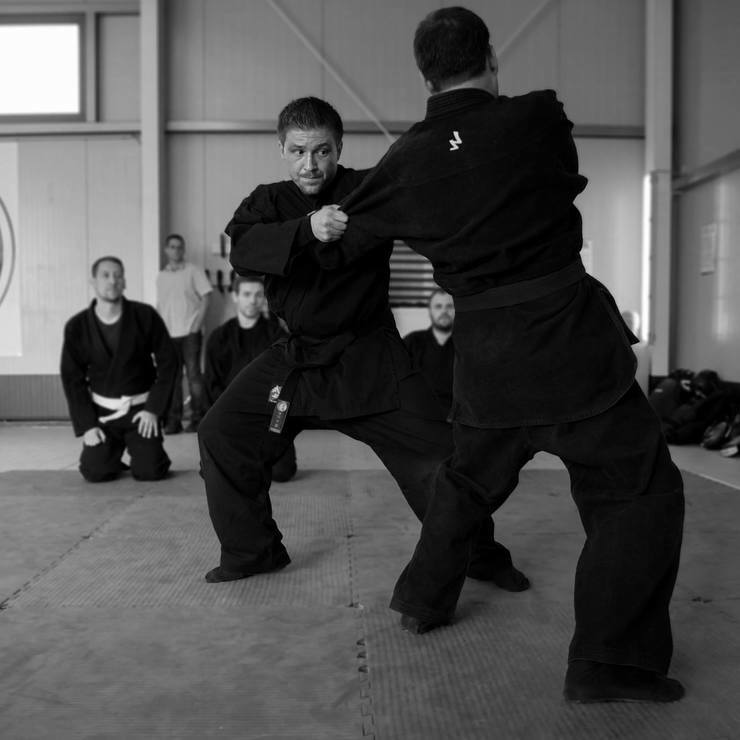 Rank: 6th Dan Dojo: Bujinkan Inazuma Dojo Local: Hamburg – Germany Ricardo, a personal student of Kacem Zoughari, began his martial arts journey in 1994 and his journey through Ninjutsu in 1996. By chance Ricardo met Kacem on December 1, 2011 while they were both parking their bicycles at the Daikomyosai in Japan. One month later he attened a seminar that Kacem was teaching in Cologne, Germany. Being so disappointed by his poor movement that he didn’t show up for the second day of the seminar. After a few days he came to the conclusion that this was “the thing” that he had been searching for for so long. From that time to the present Ricardo has continued to attend Kacems' seminars. After beginning training with Kacem, Ricardo has realized he had to start from zero all over again and has since learned that rank is no longer important. Rather the quality and efficiency of the movement is all that matters to him. The Name of Ricardos' dojo is “Inazuma” which means "flash/thunderbolt". Like a flash that goes straight trough something and straight to the point. This dojo name was given to him by Kacem.